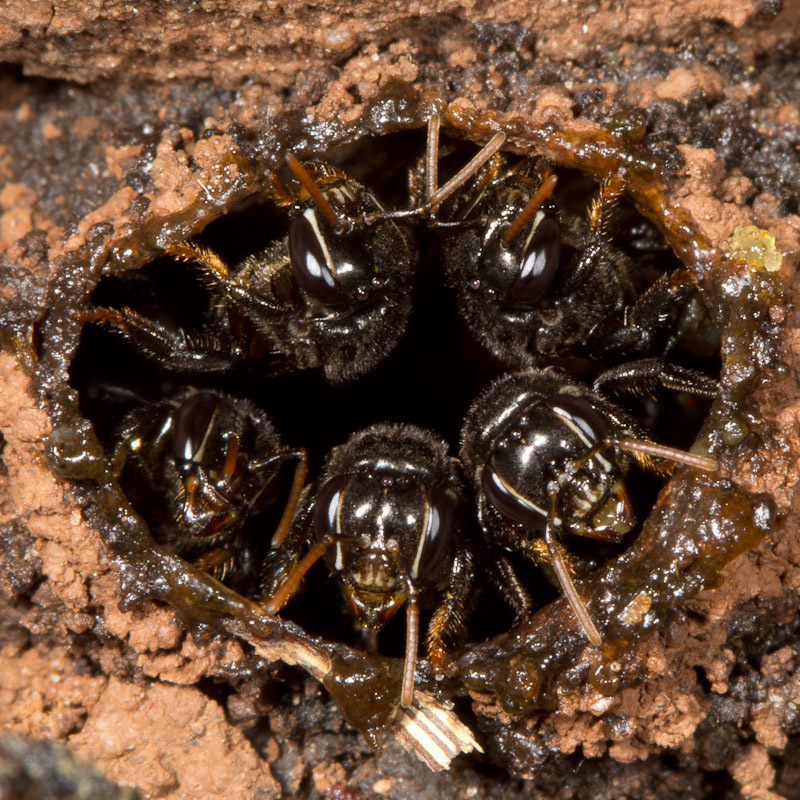 These stingless bees have made their nest inside a termite mound. Earlier in the day, the bees weren’t clustered around the entrance like they are here. Instead they were simply flying in and out occasionally. This was taken late in the day though, and I suspect they are preparing to seal the entrance for the night. 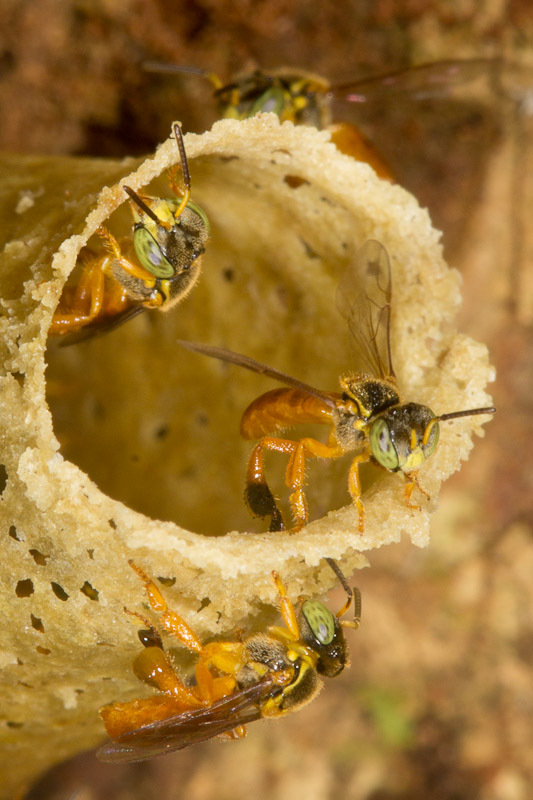 In the photo below, you get a better sense of how the nest is situated in the termite mound. 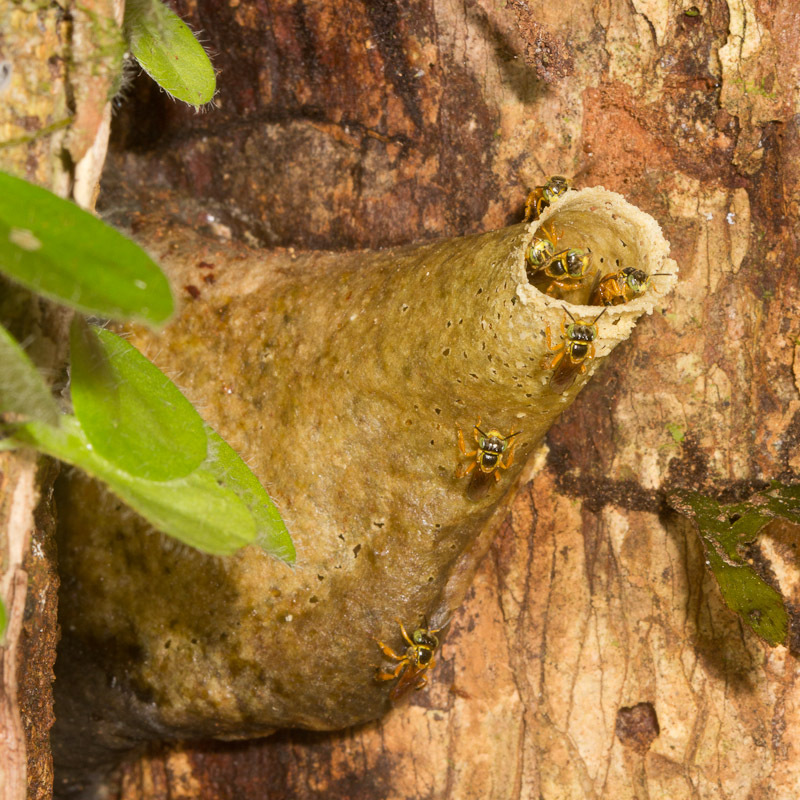 This stingless bee nest was nestled in the hollow of a tree. 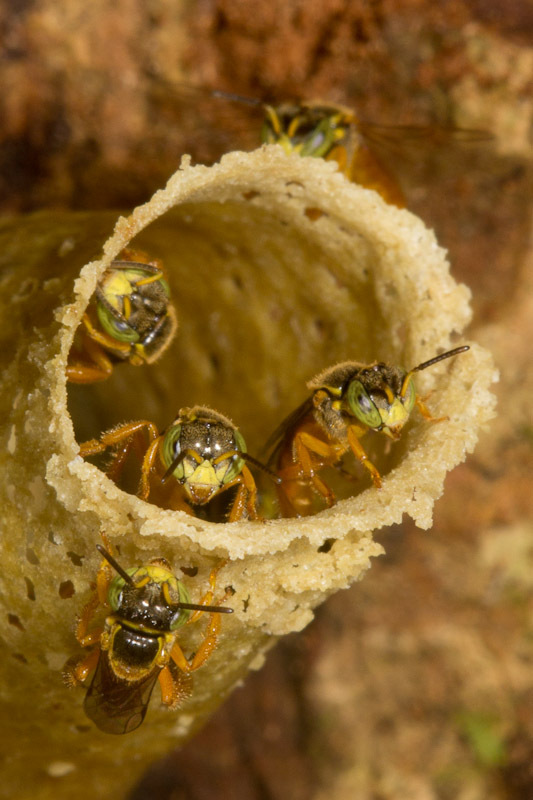 The nest entrance is only about a centimeter wide, making the bees themselves only 5 or 6mm long. As their common name suggests, these bees have no sting to defend themselves. Knowing that, I got quite close. Harmless though they may be, they certainly look mean. In that last photo, you can see a new arrival hanging below the nest, with pollen visible in the basket on its hind tibia.